Traditionally, restaurants and technology adoption have been slow to integrate. Other than upgrading to electronic till systems, technology often seems to skip over the food and drink sector, but that is rapidly changing. The emergence of new tech has meant a huge number of potential benefits to restaurants of all kinds. As restaurateurs look to the future of their business, it may be time to start looking at the technology solutions that could transform the way that every hospitality-based business functions on a daily, weekly, and monthly basis. 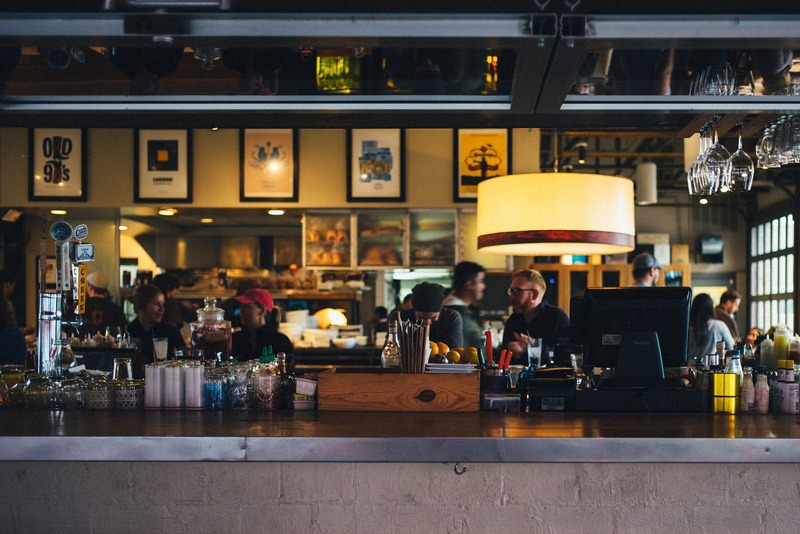 Through these technologies, your restaurant could be granted a boost in productivity that ensures that 2019 is your year for unparalleled growth. Training your chefs, waiting staff, and bartenders can take time and money. Mistakes when people are learning the trade, or when learning the processes of a particular establishment, can result in incorrectly poured drinks or the wrong meals being delivered to tables. Virtual training through a variety of technologies and software can reduce this risk, allowing new staff to train virtually before they are allowed to work directly with your customers and real cash. When your new kitchen porter is able to watch the chefs and waiters at work virtually without being a disruption, they will gain a much better understanding of how the business works, and all without the risk of costly mistakes. Food safety checks can be an interruption that impacts the flow of kitchen output. While these checks are essential, they have always been considered something that needs to change. That’s why Bluetooth has been such a boon to kitchen workers around the world. Not only can Bluetooth temperature sensors gauge heat much more quickly than traditional methods, but they can also allow for automated checks through alerts that go directly to the head chef. Walking around food stores or the wine cellar with a pen and paper, making a note of everything that’s been sold and everything that needs to be ordered can take a long time. That takes your staff away from more productive tasks. Stock automation is the biggest widespread change to the restaurant trade in years. By tracking your inventory digitally, your ordering process will become much more streamlined and allow you to establish more predictable purchasing costs no matter how regularly you buy. Having the right software in your restaurant is now essential. The best software options for restaurants can be difficult to choose from, but when you look at the directory of software development companies, it’s apparent that you have a wide variety of potential options. One of the most popular software types to be adopted by restaurants are those that allow for better table booking. These will improve your table-reservation system so that you have a fully optimized seating plan at all times, and are able to take more bookings for more customers. These systems also help to reduce waiting times or make more accurate assessments as to when a table is likely to be free. Waiting times can be frustrating for both customers and hosts, so these software solutions can be utterly transformative when used in the right way. There may come a time when waiters and bar staff are not even needed. There has been an increase in the use of table-based tablets that allow customers to order their drinks and their food without the need for someone to come over and take their order. These tablets can reduce the number of waiting staff that you need during busy periods, optimizing efficiency while reducing your monthly wage bill. Customers benefit by having far greater control over their food orders, increasing the chances of them having a positive experience at your establishment. Tabletop ordering systems are also programmed to use upsell prompts, which could also mean that you generate more sales per head. When your waiting staff have the freedom to focus more on customer service, it’s obvious why smart restaurant owners are adopting smart tabletop ordering systems. Cost-cutting and maximum profit generation are no longer the bane of the restaurant owner. Instead, they are now able to use the best technologies to streamline every area of even the busiest food and drink business. By freeing up time, it is now possible for staff to focus on ensuring that customers have the best experience they can have, and that will lay the foundation for repeat visits and those essential online reviews.